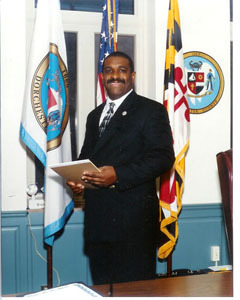 Councilman Nichols was born in Cambridge on November 8, 1958. He graduated from Cambridge High School in 1976 and is currently employed by Maryland Wire Belts. Councilman Nichols is a member of the Recreation and Parks Board and serves on the Maryland Association of Counties Legislative Board. 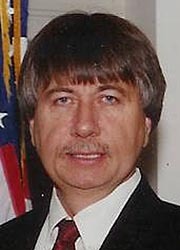 He formerly served on the Dorchester County Insurance Committee and the Dorchester County Social Services Board. Councilman Nichols is serving his sixth term on the Dorchester County Council. He resides with his wife and children in Cambridge. Councilman Travers is currently the President of the County Council. Councilman Travers attended Cambridge High School from which he graduated in 1974. He was born and raised in Dorchester County and has worked his entire life at Simmons Center Market which is located at 600 Race Street in Cambridge, Maryland. He is currently the owner and manager of this family operated grocery store and greenhouse. His hobbies include camping, and spending time with his wife, four sons, parents and extended family. 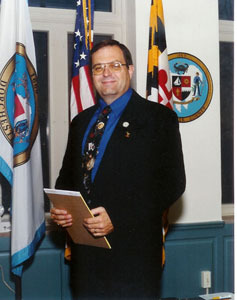 Councilman Travers is a member of St. Paul’s Methodist Church, Rescue Fire Company, Lloyds Fire Company, Mid Shore Regional Council of Maryland, Cambridge Main Street and a sitting member of the Board of License Commissioners. 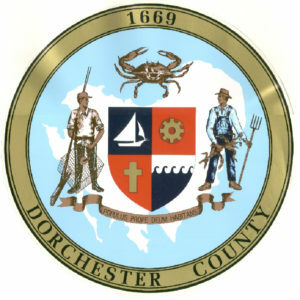 Councilman Pfeffer is serving his first term in Dorchester County Government. He was born in Baltimore, Maryland on March 8, 1966. He graduated from Old Mill Senior High School and over the years has taken classes at AACC and the University of Maryland for career enhancement. He is retired from the Anne Arundel County Fire Department where he served as a Firefighter, EMT, MFRI Instructor, Driver/Operator and Lieutenant. He is also the former owner of a small landscaping business in Dorchester County. Councilman Pfeffer is a Life Member and past President of the Secretary Volunteer Fire Company, past President of the Dorchester County Volunteer Firemen’s Association, member of the Sons of American Legion Post 243, Red Cross Volunteer, Founding Member of the Dorchester Critical Incident Stress Management Team, Character Counts Coach at Warwick Elementary School and Trustee at the First United Methodist Church in Secretary. He, and his wife Sherry, enjoy fishing, crabbing, hunting, their two standard poodles, and time with family and friends.